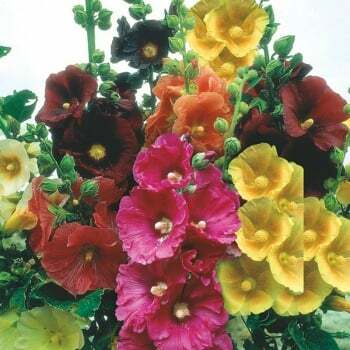 These Mr. Fothergill's hollyhock giant single mixed seeds from Ruddick Garden Gifts are a traditional cottage garden favourite. These hardy perennials will grow into a tall and stately plant with large, cup shaped open flowers in beautiful pastel colours. Average of 50 seeds per pack.